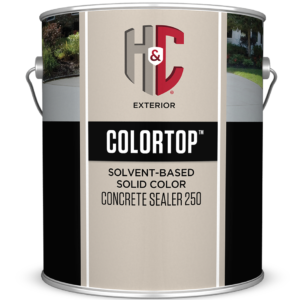 A SOLVENT-BASED EVOLUTION OF COLORTOP™ FOR INCREASED DURABILITY. 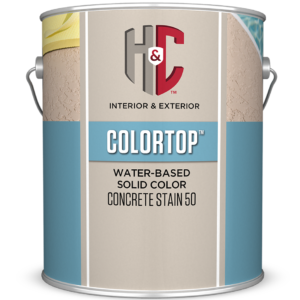 Protects and beautifies exterior concrete and masonry. Bonds with the surface for long lasting protection. Resists salt, acids, alkalis, water, ultraviolet light, oil, gasoline and hot tire marks. 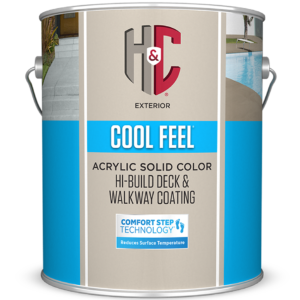 H&C® COLORTOP™ Solvent-Based Solid Color Concrete Sealer is formulated for use on concrete and masonry exterior surfaces such as driveways, walkways, patios, athletic courts and more. 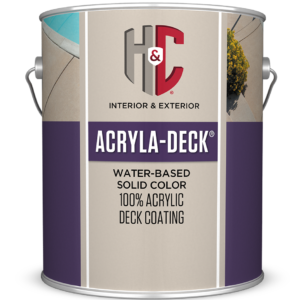 prepackaged colors, as well as clear, which has a gloss finish.